During the day, delegates to the Democratic National Convention spend much of the day in caucuses at the Pennsylvania Convention Center in downtown Philadelphia. In addition to the meetings rooms, convention-goers can stop by a fun zone called the Political Fest and learn presidential history. At the Wells Fargo Arena, where the prime-time events are held, convention staff and journalists are busy up until the delegates arrive. 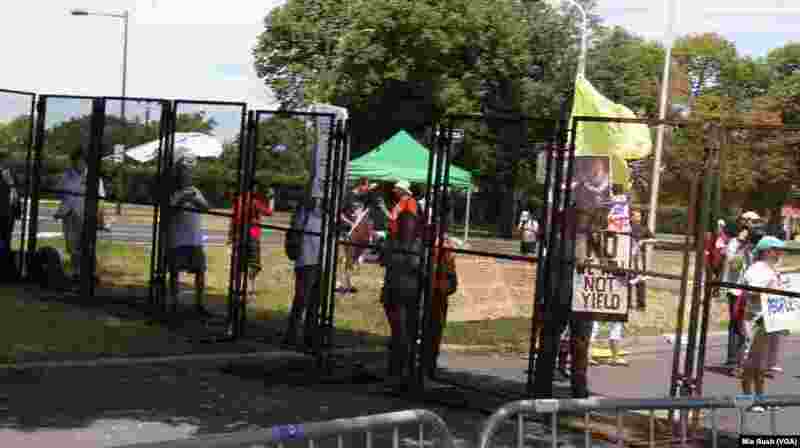 5 Supporters of former Democratic presidential candidate Bernie Sanders staged a protest outside the secure zone near the Wells Fargo Arena, in Philadelphia, July 26, 2016. 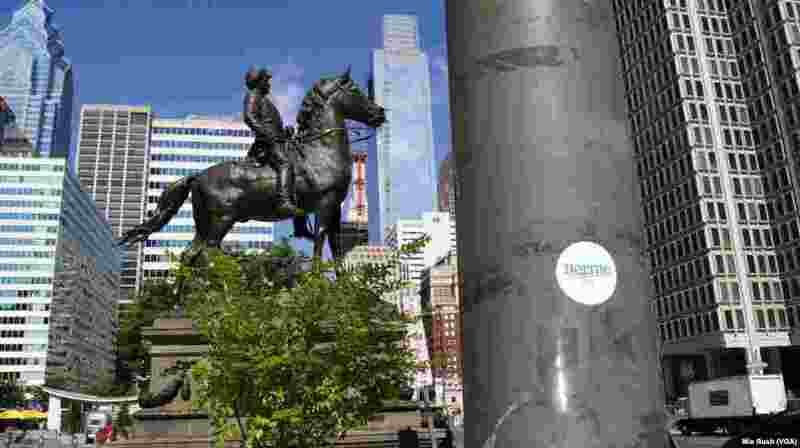 6 A Bernie Sanders supporter leaves a sticker behind outside the Reading Terminal Market in downtown Philadelphia, July 26, 2016. 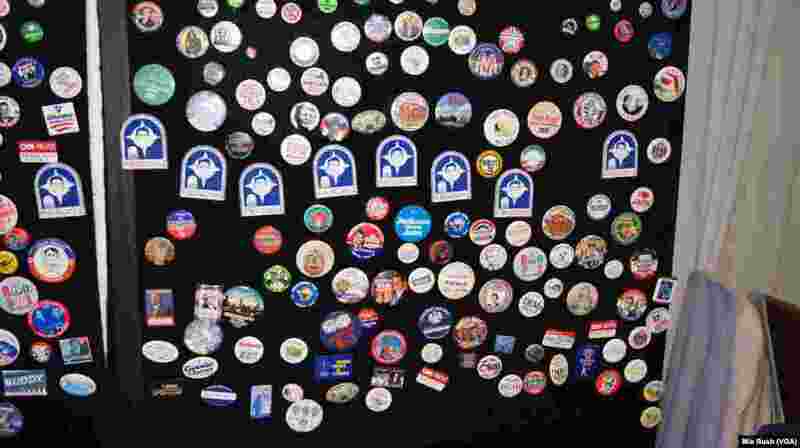 7 More than two dozen buttons supporting Hillary Clinton can be found in the Pennsylvania Convention Center, where delegates were gathered for the Democratic National Convention in Philadelphia, July 26, 2016. 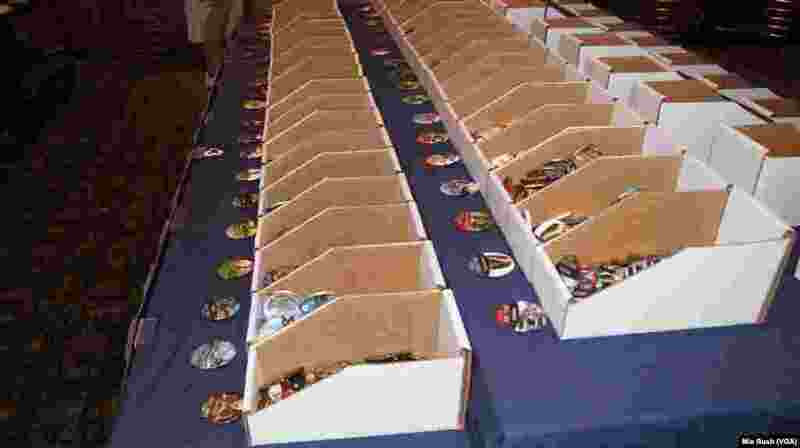 8 The American Political Items Collectors booth had hundreds of pins used in previous presidential campaigns, at the Pennsyvania Convention Center, in Philadelphia, July 26, 2016.